It's raining. And cold. And we need more chicken stock. 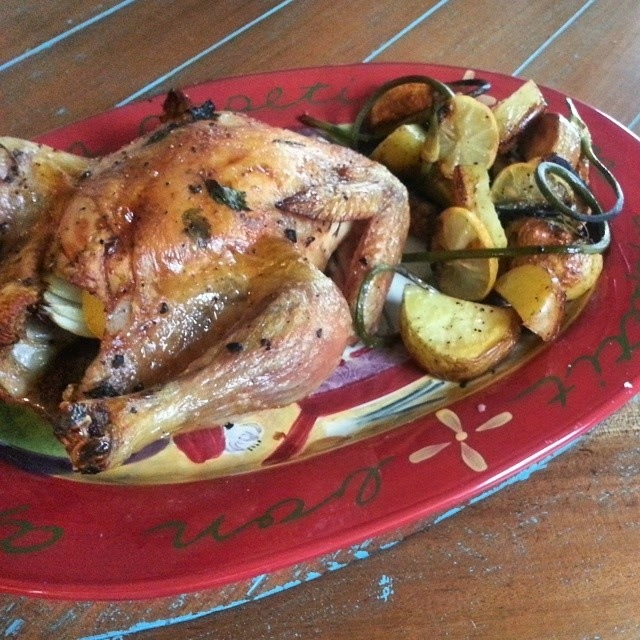 So I decided to roast a chicken tonight. And as fate would have it, I happened to actually get to watch The Chew today. And the ever glorious Michael Symon happened to roast a leg of lamb in the oven on a slotted rack, and put potatoes in a cast iron pan underneath the slotted rack, so that the juices from the meat cooked into the potatoes. HELLO WHAT!?!?! And decision made. That is what's for dinner. Cause it can totally work with chicken too. And I must say my house smells ridiculously edible right now. Here's the recipe. Since I used chicken, I left out the coriander and the sugar. 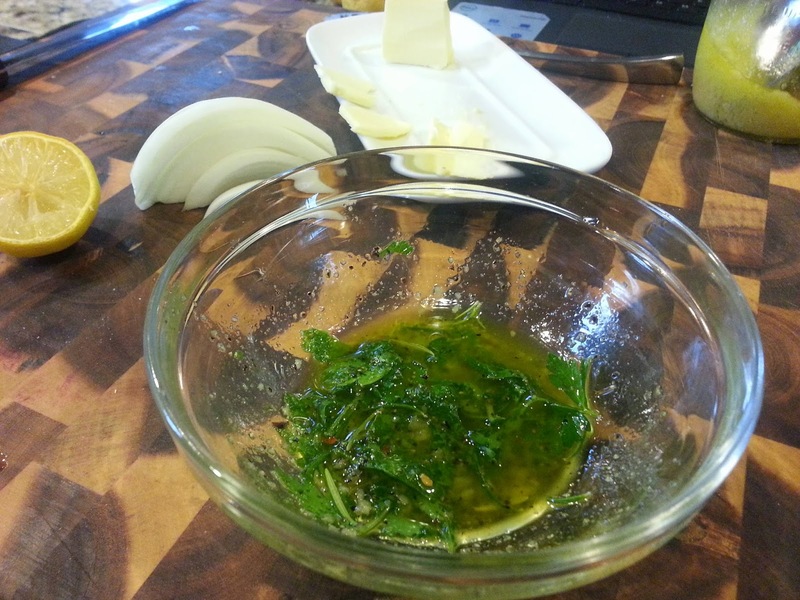 And I didn't have fresh oregano so I used fresh parsley instead. 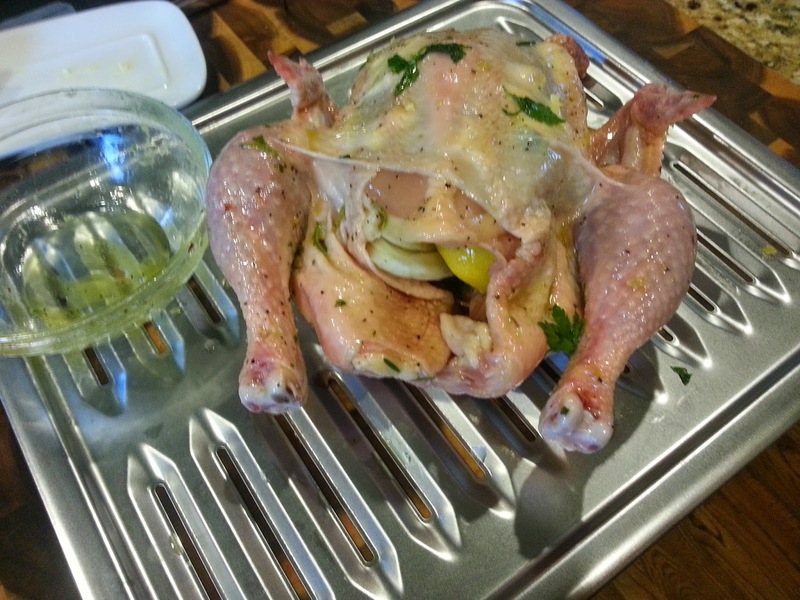 I also rubbed it on the inside of the chicken and between the skin and the meat. I stuck pats of butter under the skin as well. And I stuffed it with a lemon and some onion. Then put it on a slotted baking sheet. The potatoes. Oh the potatoes. I just cut them in big chunks, added slices of lemon, garlic scapes, rosemary, salt, pepper, and extra virgin olive oil. Mouthwatering, right!?!? And then I stuck it in my oven. 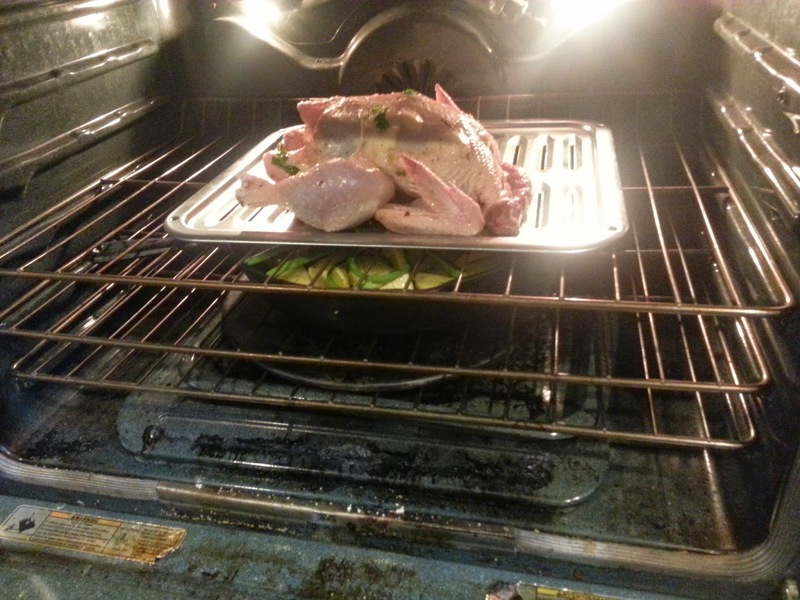 Based on a different recipe from Chef Symon for roasted chicken, I have the oven on roast at 425 degrees. I'm checking frequently on the potatoes because the garlic scapes are pretty fragile. Oh yeah, I obviously decided to use the garlic scapes instead of just the cloves of garlic he has in the recipe. Those potatoes. THOSE POTATOES! 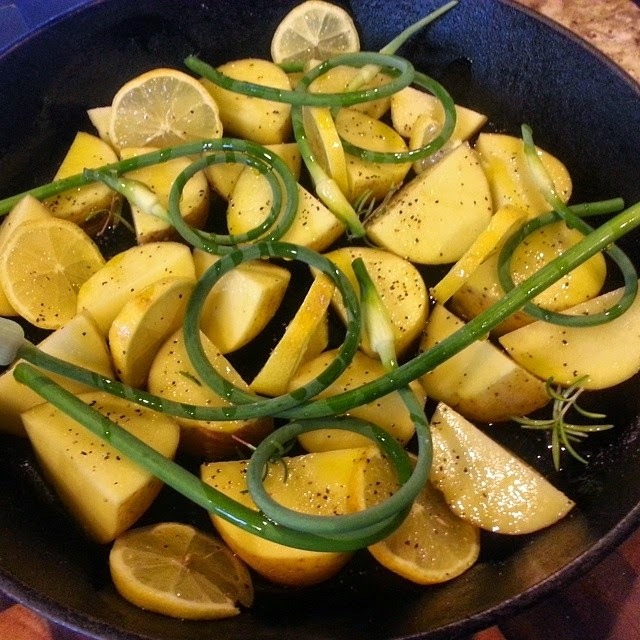 I will say that if you would like more of a garlic flavor on your potatoes you may just want to use garlic cloves, but eating the garlic scapes is delish. I would try it if I were you.